As a business coach, I often joke about the fact that asking for more money in business will bring up all of your money beliefs. The reality is your money beliefs do affect when, how and how much you get paid. You have all the systems down pat. You’ve practiced all the sales call strategies. You have a great product or service. And yet you’re still hearing crickets. I’ve seen it with coaching clients and I’ve also seen it in my own business. I could have all the best strategies, but if my money beliefs are off then I won’t be getting paid. Here are seven money beliefs that will help you get paid more and get paid faster. Price your offering based on value and transformation. One of the money beliefs that are most detrimental to business owners is the idea that you’re getting paid for a skill. While technically this is true, that’s not really what moves people to pay you. The reality is most money decisions are emotional, so if your pricing lines up with that you’re more likely to get paid. At the very least, you become more confident during sales calls. I’ve seen a lot of people leave significant sums of money on the table because one of their money beliefs was that there simply was no room for them. Some people believe that only a select few individuals get a chance at making all the money. Or, they feel that if someone is successful, then they won’t be because there’s only so much money to be made. There is plenty of money in the world and plenty of room at the table. A no doesn’t mean never. Another area where business owners sabotage themselves is with money beliefs about rejection. There a few things to point out here. First, just because a prospect says “no” to you doesn’t mean the conversation is over. That’s where you need to learn with objections. Second, just because a prospect says “no” doesn’t mean it’s “no” forever. There have been plenty of instances where clients have hired me months after an intitial conversation. Sometimes it was an issue of bad timing. Other times they just needed to think about it. Sometimes they were too busy. That’s all fine and dandy, but it never stopped me from following up, checking in and pitching. Here is one that will likely strike a nerve with many. Most people have a belief that making money is ridden with struggle. There’s almost a sense of pride that comes with struggling to make money. If that’s what you believe, then that’s what you’re going to get. Instead, try flipping that on its head. The reality is we tend to overcomplicate earning money. I know I have. In the past, I have felt like I need to have all the intricate logistics figured out before I sold something. Or, I thought no one would want to pay immediately. Lo and behold, that’s what I got. Once I started changing my money beliefs about how easy it was to earn more money, I booked three new coaching clients in 48 hours. You are worthy of making money. Another issue I see come up for coaching clients is a belief that they are not worthy of the money they are asking for. This alone can be the kiss of death for sales calls. Your mouth could be saying one thing, but if internally your money beliefs are that you’re not worthy of money, then you won’t be getting paid. You self-sabotage by not even bothering to handle objections. Or, you freeze. Following up falls by the wayside. Sometimes people don’t even bother taking as many sales calls as they can out of fear of rejection. Unfortunately, thinking you’re not worthy of money is a deep issue. This can be one of the hardest money beliefs to overcome because self-worth issues stem from multiple sources. Not only that but having a sense of self-worth is easier for some people than for others. If self-worth issues are affecting your ability to earn, consider working with a licensed professional to help you uncover the underlying issues. You don’t need to prove anything to anyone. I recently had a coaching call with a client whose money beliefs were causing her to overcomplicate the sales process. In her case, she had a belief that she had to prove her worth in order to ask for money. This caused her to give away too much in her marketing. So why would people pay? It caused her to spin her wheels as she tried to be everywhere at once. So there was no strategy. It caused her to overdeliver before anyone ever even agreed to pay her. So, again, why would anyone pay? It also caused her to overlook an important marketing tool – her market’s emotions. She was so busy focused on proving herself that she didn’t realize she was doing her marketing all wrong. The reality was the solution to her problem was quite simple, but because she was so focused on proving her worth, she couldn’t see it. Making money doesn’t make you a sellout. As a natural-born creative, I’ve really struggled with the idea of being a sellout. I remember when I decided to turn my personal blog into a marketing tool for my business. It was so difficult! And it’s because one of my money beliefs was that if I did things for money, then I was a sellout. This is one of the money beliefs that still haunts me to this day. Just recently, I felt it creeping up again as I took my email marketing to a new level. The good news is I caught it before I self-sabotaged. 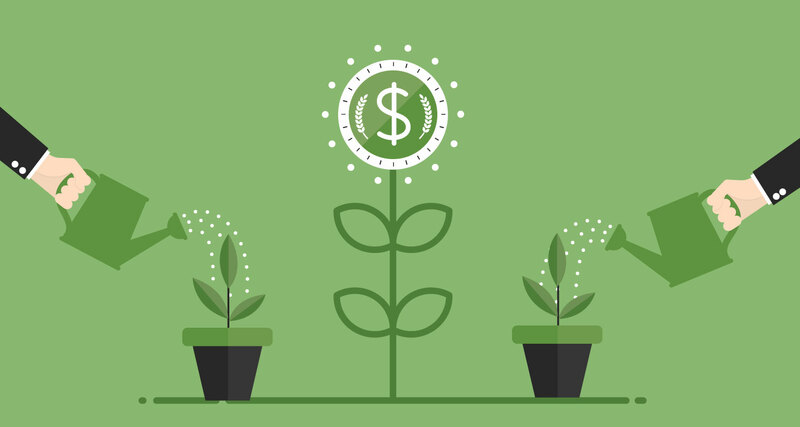 Our money beliefs do affect our ability to earn money in our businesses. It’s likely that you recognized yourself in one of these. If that’s the case, you can now choose to think and act differently. That minor decision will have a huge impact in how you get paid.